Days after Nawaz Sharif submitted his resignation from the office of Prime Minister of Pakistan following an adverse Supreme Court verdict in connection with the Panama Papers Leak case, his key party loyalist Shahid Khaqan Abbasi is poised to take charge as the acting head of government today. According to the Dawn, Abbasi has submitted his nomination papers to National Assembly Secretary Jawad Rafique Malik at the Parliament House and is expected to secure an easy win in today's election in the National Assembly thanks to the disunity that prevails among opposition ranks. Though the PML-N itself has more than the required number of 172 members, with the support of its allies and the failure of the opposition parties to field a joint candidate, the contest has become almost a one-sided affair. Five candidates belonging to four opposition parties have submitted their nomination papers after their failure to choose a consensus candidate during a joint meeting presided over by Opposition Leader Syed Khursheed Shah. 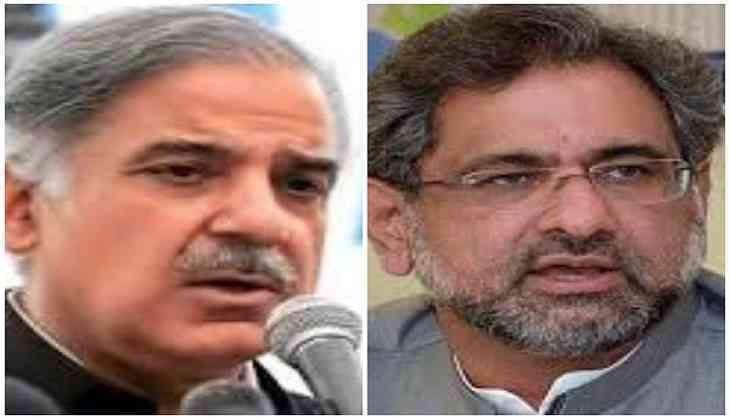 Those who filed nomination papers against Abbasi are Syed Khursheed Shah and Syed Naveed Qamar of the Pakistan Peoples Party (PPP), Sheikh Rashid Ahmed of the Awami Muslim League (AML) as a nominee of the Pakistan Tehreek-i-Insaf, Sahibzada Tariqullah of the Jamaat-i-Islami (JI) and Kishwar Zehra of the Muttahida Qaumi Movement (MQM). Speaker Ayaz Sadiq declared all the papers in order after scrutiny in front of the candidates. Speaking to the media, Abbasi said he would continue with the policies of Sharif. He said his party leadership would nominate the members of his cabinet after consultations. Being the single largest party, the PML-N has 188 legislators in the 342-member National Assembly. With two seats lying vacant (NA-18 Fata and NA-120 Lahore), a total of 340 members will exercise their right of vote in today's election. Meanwhile, the opposition has warned that he will move court to stop Punjab Province Chief Minister Shahbaz Sharif from contesting the by-election for NA-120 - the seat vacated by deposed prime minister Nawaz Sharif - if he does not first resign from the office of chief minister. Key members of the opposition fear that the Punjab government will inject massive development funds into NA-120 - comprising Temple Road, Mozang, Anarakali, Lytton Road, Nisbat Road and Islampura - and directly influence the election if Shahbaz Sharif does not quit his office after filing his nomination papers with the Election Commission of Pakistan (ECP). The ECP is expected to announce the schedule for the by-election in NA-120 this week. It fell vacant following former Prime Minister Nawaz Sharif's disqualification by the Supreme Court.